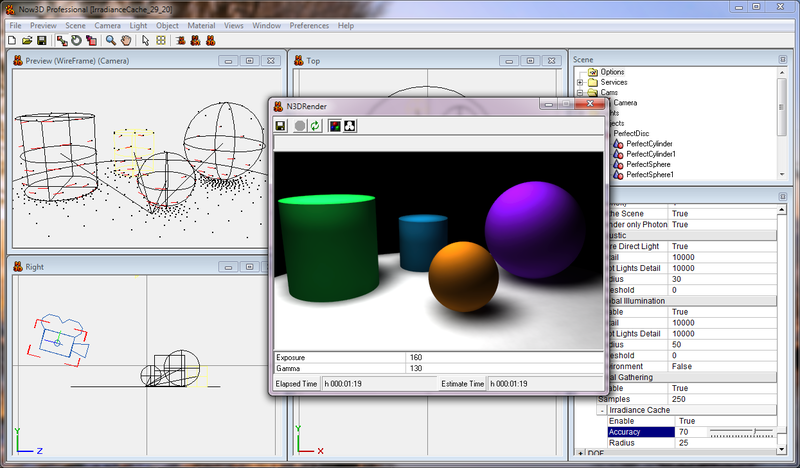 Now3D is a program for Windows platform written in Visual Basic 6. 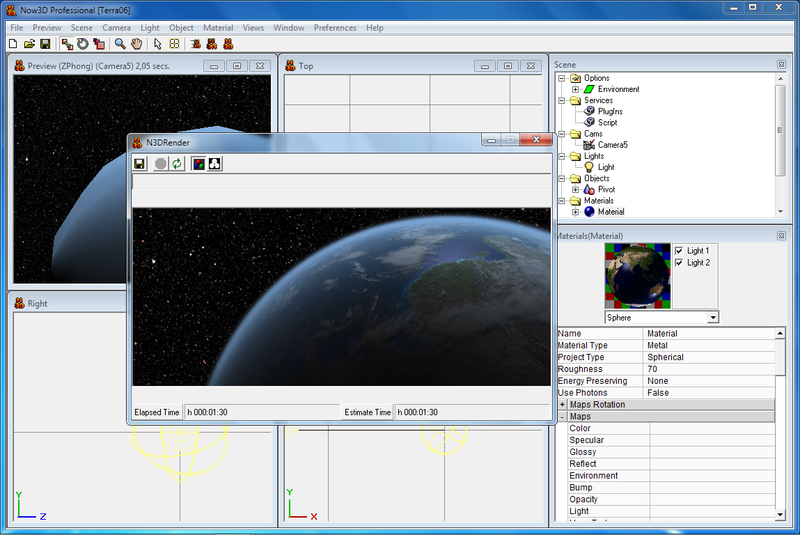 Now3D (at the beginning called Planets) born in 1997 as application for the planets and stars visualization. Then, thanks to the first success in the 3D Graphic field, I have decided to leave the first idea to concentrating myself towards more difficult subjects. I'm an analyst programmer with a passion for 3D computer graphics, and I'm developing Now3D with the hope that this program will give to many of you, a sprint to enter in the world of 3D computer graphics. 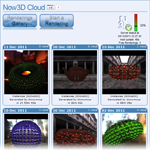 Soon you can download an alpha version of Now3D2! In the meantime you can take a first look at gallery of pictures rendered using the new Now3D2 engine. Download Now3D v1.31 directly from the download section of this site! 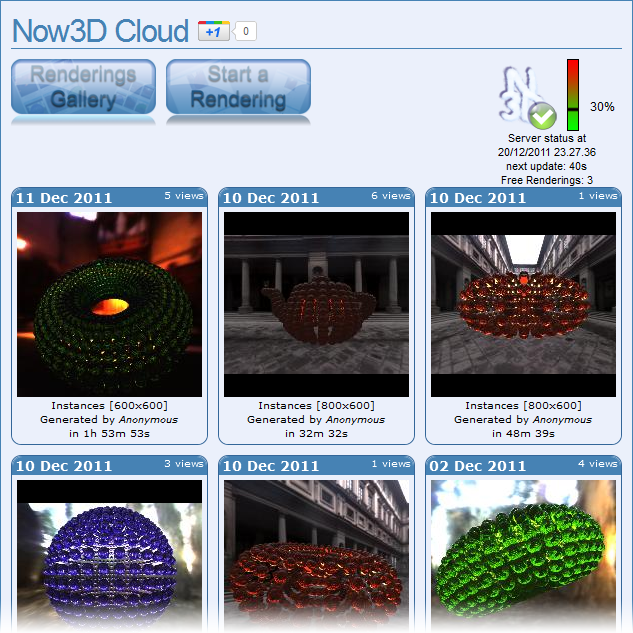 I'm glad to introduce you Now3D Cloud, a service through which you can to try the 3D engine of Now3D2 directly on the web. You can download the Now3D2 theme for Windows 7. The pictures of this theme have been rendered entirely with the latest version of Now3D2 (final name of the ex N3D.Net). After download it, unzip the file and double-click on the "Now3D2.themepack" file to install the theme. Soon you can read on the Now3D Blog the latest news on the Now3D2 developments. Finally, from this version, you can use Now3D on Windows 7 (also 64bit)! I released a RealTime demo that uses the 3d realtime engine of the new Now3D in development. If you are fan like me of 3d graphics programming, you can edit the source of this demo. HDR Images courtesy of Paul Debevec. Follow the latest news about the Dot.Net version at the new Now3D Blog (translated by Google).